The Presidents Trophy will be fished from 10am to 3pm on Sat 22nd Sep at Slough House Farm with the draw for swims at around 8am. Entry will be £5 per head. Slough House Farm will be closed to non-competitors from 6am to 4pm on Sat 22nd Sep. If you would like to fish the match please contact Keith Leverett. 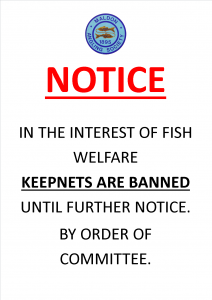 As a result of the blanket keepnet ban on all Society stillwaters the 24th July concessionary match will be fished at Heybridge Basin instead of Rook Hall. 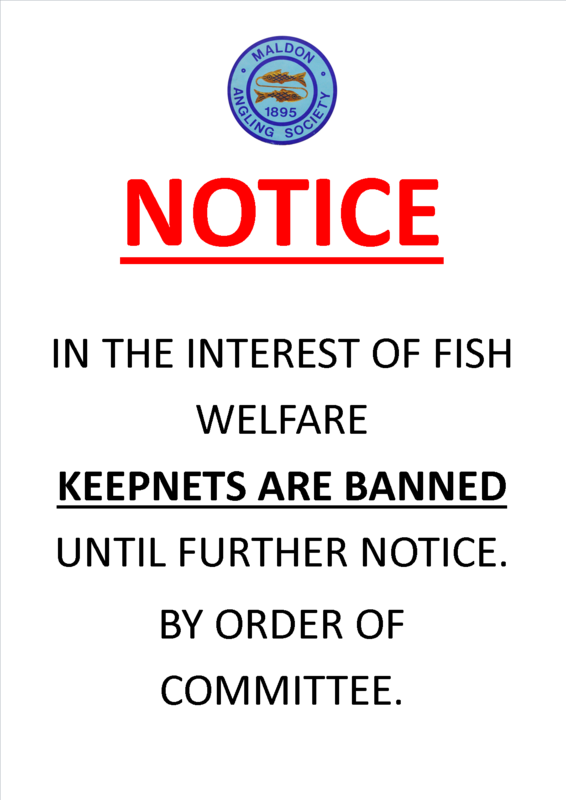 Keepnets are still completely banned on all of our stillwaters as the unexpectedly hot summer by British standards is predicted to continue for at least the next couple of weeks. This ban is due to reduced oxygen levels in the margins brought on by the continued hot weather. 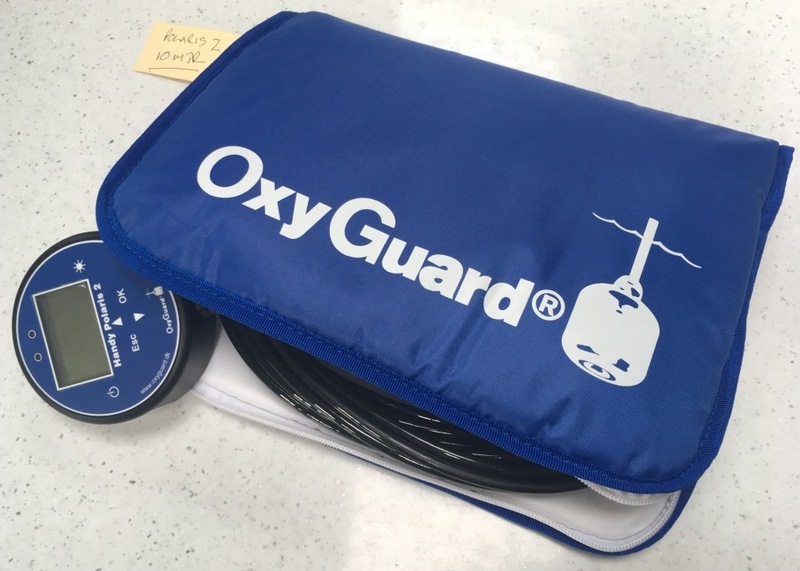 We have been monitoring dissolved oxygen levels in the margins with our oxygen meter over the last few weeks and levels have continued to drop forcing the committee to act now to protect the welfare of our valuable fish stocks. This decision will be reviewed again at the September committee meeting. The ban includes matches but excludes our river sections where the flowing water helps maintain a higher level of dissolved oxygen. Our oxygen meter has been well used in the last few months. This is the notice that you will see at the entrance to our stillwaters. in, several attempts to retrieve the tackle failed. Anybody finding the said tackle can ring Rob on 07941675833. Thank you – Keith. The Tom Martin memorial match will be fished at Totham Pit on Saturday 2nd June - 8.30am draw fishing 10.00am until 3pm. There will be two teams, one team of bailiffs and one team of committee or members. If you would like to fish please contact Keith on 01621 929234 or 07836 327843. Many thanks.